The French woman was found beaten to death outside her holiday home in Cork in 1996. IAN BAILEY IS to face trial in France over the killing of Sophie Toscan du Plantier. The 60-year-old Briton, who has lived in Ireland for many years, has twice been arrested on suspicion of killing the French woman, but has never been charged in Ireland. The 39-year-old was found beaten to death outside her holiday home in Schull in Cork on 23 December 1996. A French magistrate opened a separate inquiry in 2008 and later issued a European arrest warrant, but Irish courts have twice refused to extradite Bailey on procedural grounds. However, the main appeals court in Paris has ruled there are “sufficient elements” to put him on trial, his lawyer Dominique Tricaud said today. He added that Bailey will consider challenging the ruling, which would delay the process — and given Ireland’s refusal to extradite him until now, it could well take place in his absence. “It’s a relief for the family of Sophie Toscan du Plantier, even if they know that the trial won’t happen immediately and will probably take place without the suspect,” Laurent Pettiti, a lawyer for her relatives, said. “The goal is that once there has been a trial and sentencing, Paris will push Dublin to finally extradite him,” Pettiti added. Bailey tried unsuccessfully to sue the Irish State for damages in 2014 for the way the investigation was handled, though a court in December ordered that a partial retrial of the damages case could go ahead. Email “Ian Bailey to face trial in France over Sophie Toscan du Plantier's death ”. 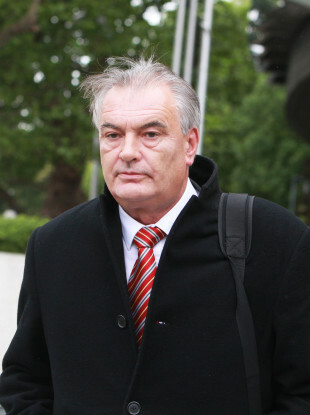 Feedback on “Ian Bailey to face trial in France over Sophie Toscan du Plantier's death ”.